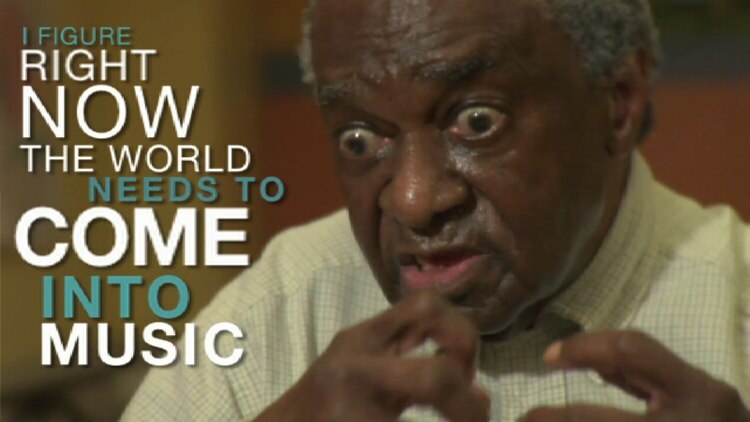 Henry, an elderly man living in a US nursing home and largely unresponsive to the outside world, receives a pair of headphones to listen to his favourite artist, Cab Calloway . The neurologist Dr Oliver Sacks, who's involved with the project, describes Henry as "almost unalive", but as soon as the music starts there's a complete transformation. He starts moving and singing along, becoming animated. "The philosopher Kant once called music the 'quickening art' and Henry has been 'quickened' – he's been brought to life," Sacks says in the video. But the effect doesn't stop once the music is turned off. Though he's normally unable to answer the simplest questions, Henry now starts speaking about his love for music, how it makes him feel, and singing I'll Be Home for Christmas, remembering every single word of the lyrics. It's almost magical. There's a charity here in the UK that knows all about how music can transform the lives of those who suffer from autism, dementia, and a whole range of mental health problems. The work of the founders of Nordoff Robbins – Paul Nordoff, an American composer and pianist, and Clive Robbins, a special education teacher – began more than half a century ago, as they used music therapy to help isolated and disabled children. In 1980 the charity bearing their names was established in the UK. Nordoff and Robbins discovered music's power to open up the senses and "reawaken" people with dementia doesn't only come from the familiarity of favourite songs. In a mesmerising video, one of the charity's music therapists starts communicating with a woman whose dementia has lead to the loss of speech, by doing a sort of singing and guitar-playing call-and-response. In another one, Jack, an autistic boy with severe learning difficulties, lights up and starts to communicate not only by singing, but with his whole body. But music can also have a calming and healing effect on those with mental illnesses. Nordoff Robbins works with Lance, who lives with schizophrenia and says music therapy makes him "feel more human again" and is "a haven from intrusive bad thoughts and depression". The charity provides music therapy at his local centre for people with mental health problems, where he plays guitar, often supporting other people's songs. "I feel that music is holding my hand through all this," he explains. The therapists who go into schools, hospitals, care homes and prisons, help people communicate where words have failed, raising their confidence, self-esteem and sense of joy through music, one of the most powerful remedies that can't be bought from pharmaceutical companies. Music is medicine for the soul.